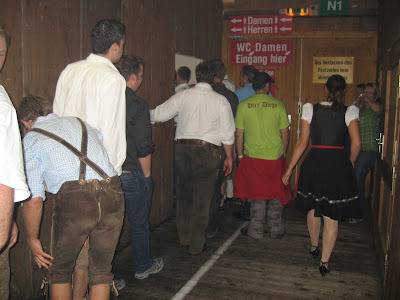 Oktoberfest was the first time that I ever saw a line for the men's toilet, but not for the women's. This was very impressive! Do you think this phenomenon happened because there are more women's toilets (nice work to the organizers!) or because men's lederhosen takes a while to undo or something else?